Is Pollution Ruining Your Skin? 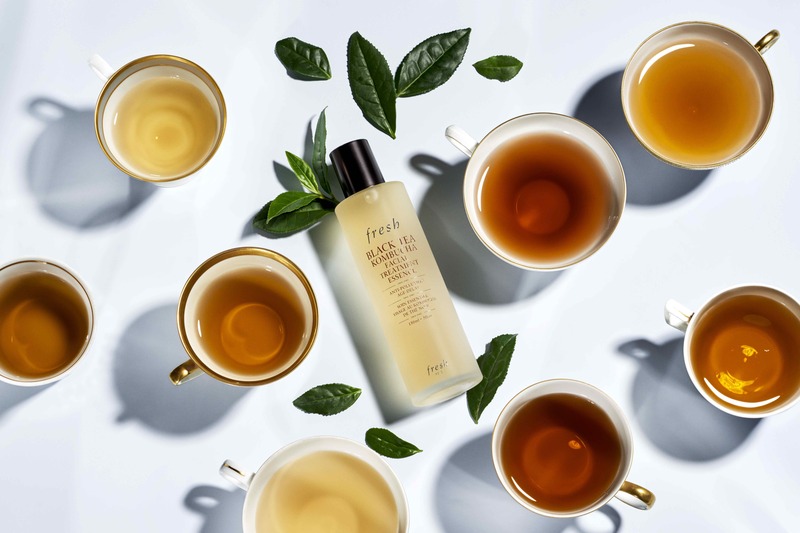 At first glance, Fresh‘s Black Tea Kombucha Facial Treatment Essence sounds like an easy dupe for the ever-popular cult skincare Facial Treatment Essence from SK-II, which is another post-cleansing product that uses a fermented ingredient – Pitera – as its hero. It may share some of the same anti-ageing claims, but Fresh’s new launch also seeks to solve a few concerns that so far haven’t really been addressed in a skincare market that’s already quite saturated. Plenty of cream, serums and lotions purport to fight free radicals, but this is, as far as founders Lev Glazman and Alina Roytberg can tell, the first that specifically protects the skin against pollutants: “When free radicals attach to your skin, they oxidise your skin and actually slow its metabolism, creating premature ageing, affecting the colour of your skin, the firmness. But there are other things happening in the atmosphere; there are particles everywhere, they get attached to your skin and they start oxidising, too. So what we were looking for is whether one ingredient can start addressing much deeper issues that exist within the environment. It’s about two lines of defense: free radicals from pollution, and pollutants themselves,” says Glazman. “You come from a day walking around cities like Beijing, people are putting on masks to protect their lungs — what’s happening to the skin?” asks Roytberg. “You wipe your face at the end of the day, that’s not just your make-up. If you have your window open in New York, there’s dust on the window. It’s not being alarmist, but realistically, there is a product you can add to your ritual that’s really beneficial because it’s the first product you leave on after cleansing, and that’s a great placement.” It can also, adds Roytberg, be patted on over make-up for a boost, or in case you’ve forgotten to use it beforehand.